The impact of ABCD: Art Building Children’s Dreams (UK) in Lyamungo Sinde village continues to grow as we move into the second semester of the school year. And for this we have Martha Austin, our erstwhile volunteer teacher from Australia to thank! As I suggested in my last post Martha is our first volunteer. Her impact has been so effective that I believe it would be good to continue with a similar programme year-on-year. As well as supplying much needed learning resources for Lyamungo Sinde Primary School, thanks to her generous donors at home, Martha has now made it possible for the school to build new toilets for the children. 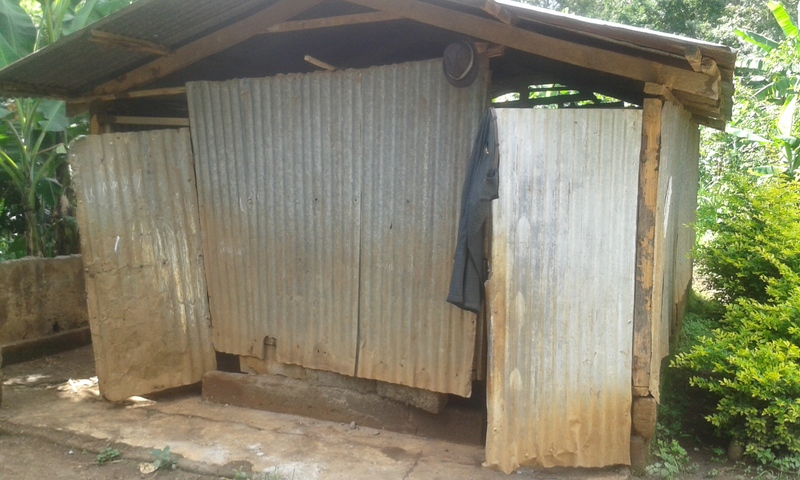 The original toilets, having been built when the school was commissioned in the late 1960’s are in a dire state. 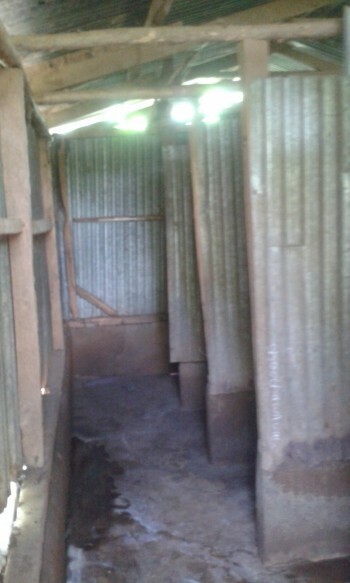 School toilets here are basically pit latrines covered by an enclosure with cubicles for use as toilets. They are lucky to have a water supply. The current toilet pit is nearly full. I have heard of several instances where schools have had to close for lack of adequate toilet facilities. Thankfully we have reached Lyamungo Sinde school in time. Moreover, there are two more primary schools in the village with just as much need! We hope we may continue into next year with your help! Martha’s mission, as well as teaching English for a short period in the three schools in the village was to somehow improve the lives of the children at the main Lyamungo Sinde school. Toilets are not only necessary, for the children’s health, they also need to be clean and easily accessible. 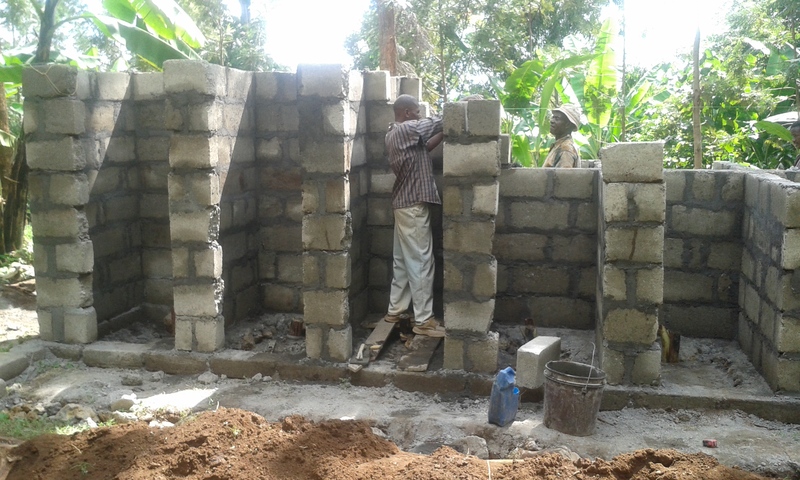 Meanwhile the building of the new toilet block continues apace, thanks to the good Pastor Nixon who has helped unerringly and is completely committed to seeing the project through. The Pastor has organised the purchase of all materials, organised the diggers, bricklayers and craftspeople and managed to keep the work on time. 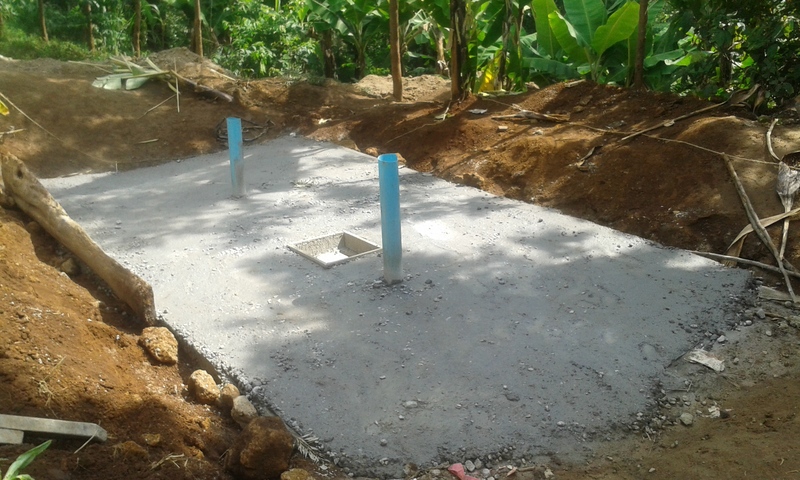 Within 4-5 weeks we will have a new toilet block, hopefully ready for the children when they return from their Easter break. As you can see, this has proved a massive project. The pit cover here hides a pit 10 meters deep – a huge undertaking and all done by hand! The new toilet block is going up next to the pit and can be replaced when it next needs replacing while continuing to use the same pit. Not content with such a daunting exercise, Martha has also initiated a program of educating the girls in the three schools about menstruation while supplying pads and a method of disposal for the girls. We will link this with a scheme set up by ABCDreams (Canada) where a group associated with ‘Days for Girls‘ may also contribute to Martha’s scheme. So, our impact in the village, thanks to Martha’s timely volunteer posting continues to grow. We remain with many more challenges though. No government public schools are well-catered for here simply because there are just not enough funds to go around. As I indicated in an earlier post, 45% of the population here is under 14 years! That’s a considerable burden on the other 55%! Anyway, we are off to a good start with many opportunities yet to come! New toilet block going up!